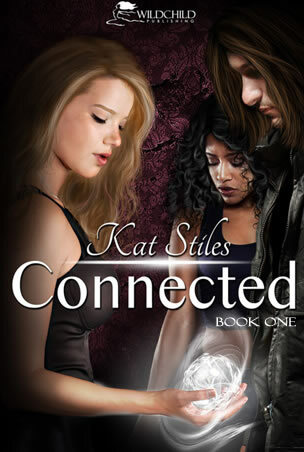 Please help me welcome new author Kat Stiles as we reveal her cover for her YA paranormal romance Connected. High school is hard enough, Em knows. Her freshman year introduced her to all the cliques, annoying teachers, and tough homework assignments. But discovering you have super powers and not knowing how to control them is a whole new level of complicated. Thankfully, Em isn’t alone. Her best friend Roz starts having unusual dreams that come true, and Tommy, Em’s secret crush, can hear the softest whispers in class. A romance blossoms with Tommy. But just as things are looking up, people start dropping like flies. A telepathic serial killer is on the loose and only Em and her friends have a hope of stopping him. Or do they? If they don’t figure out the killer’s identity soon, one of them could be next. Originally a Jersey girl, sunny Texas is where I now call home, in a town way up north in the panhandle called Wellington. Along with the man of my dreams, I have two children: a rambunctious five year-old girl and a sweet but vocal one year-old boy. Three cats, three dogs and an inordinate amount of pet hair complete my household. For fun I like to read YA, horror, and existentialist fiction, as well as watch cartoons, movies, and sometimes even cartoon movies. I try not to take anything in life too seriously and I tend to smile often.